Public space quality represents one of many criteria showing that Romania’s cities are lagging compared to Western cites. This essential part of every city, that should cover at least 30% of its total surface (according to UN-Habitat) has a central role when it comes to the success of already famous cities such as Barcelona, Copenhagen or Berlin. In Romania’s cities, public space is rather neglected. It is used mainly as a “place to park your car”, even when we talk about a sidewalk or a small green space. 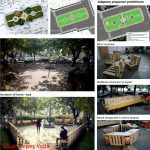 The case of Bucharest is not different: a few parks and gardens are used by citizens, while the other public spaces are abandoned and/ or used for transit. Public space has won a place on the public agenda only recently, and the most creative interventions resulted from bottom-up initiatives of architects, planners, designers, anthropologists, NGO’s. Some of these projects were even considered as finalists of the European Public Space Awards. Yplan – Young Planners Initiative addresses both the need for reclaiming Bucharest’s public spaces and the need for youth civic involvement and urban education. Young people can play important roles in public space development and community building: they can get actively involved in the rehabilitation of their neighbourhood through direct actions (for example cleaning a public space) or by demanding better public spaces from the local administration, they can join NGOs and project teams in the field, or, on the long term, they can choose to study to become planners, architects or designers. 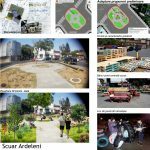 With this in mind, a team of Romanian and Swiss urban planners and architects decided to teach and empower high school students, equipping them with knowledge and tools for public space interventions. The team held short presentations, workshops and debates in 9 high schools in Bucharest. Following the workshops, a group of high school students, together with several students from “Ion Mincu“ University of Architecture and Urban Planning joined the Yplan project. The group was involved in a series of workshops and activities (for example urban walks) targeting the redesign of 8 abandoned public spaces. The aim of these advanced workshops was to help the high school students understand and replicate the process of reviving an abandoned public space. In order to facilitate the learning process, the selection of the 8 public spaces to be redesigned and idea generation for the actual interventions, two main tools were developed within the project. The first one consists of a guide that briefly explains the process of interventions in public spaces, answering questions such as: why is public space important, how do you plan your intervention, aspects of urban design, how to involve community and how to cope with local administration and legal aspects (download link: https://www.dropbox.com/sh/a63g1ambmc63wnh/AABH_Z-mByuC-TXRRxTKCCMsa/Ghidul%20proceselor%20de%20planificare%20urbana.pdf). The second one, a crowdsourcing platform, was used to map abandoned public spaces in Bucharest with a high potential for interventions. The Yplan Geoblog was also used to choose the sites for the proposals. After analysing the abandoned public spaces mapped on the Geoblog, 2 intervention areas were chosen for in-depth analysis. These areas in need of a process of urban regeneration are larger than the actual intervention sites, so that the context can be better understood. One could notice that several abandoned public spaces clustered along two axes leading to downtown Bucharest. Hence, the Yplan interventions were planned as pieces of a larger public space system with potential for urban regeneration at neighbourhood and city scale. 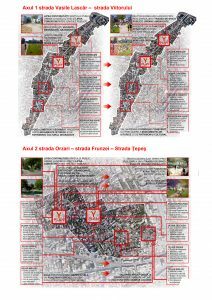 After 4 urban walks, 1 treasure hunt, 2 visits to the District Administration (2nd District) and 6 studios for urban analysis and idea generation, the final design proposals were drafted. After negotiations with the representatives of District 2, the 4 public spaces to be redesigned within the project were chosen. After 3 weekends of hard work and with a lot of support from the local community the 4 public spaces were furnished and are now ready to be used. Photo collages showing the evolution of the 4 public spaces, from sketches, to renderings, to implementation. As a result of the project, over 550 high school students gained basic knowledge regarding the role of public spaces in our cities, 30 of them understand the process of revitalizing abandoned public spaces and Bucharest has 4 redesigned places for community and ideas and real projects for at least 4 other urban interventions. 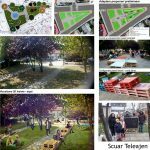 The 8 public spaces targeted by the project are just the start of a long term goal of the Yplan team, to revive or reclaim 100 public spaces for Bucharest. Nevertheless, the implemented interventions have a rather temporary character, following the Lighter – Quicker – Cheaper methodology developed by PPS (http://www.pps.org/reference/lighter-quicker-cheaper/). Their main role is to make the public spaces usable and attractive for the local community, raising awareness, so that the local administration acknowledges the need for a larger urban regeneration project. 4 / 100 done ! But why 4 out of 100? Because this is the larger goal of Urban 2020 association, to directly support the revitalization of 100 abandoned public spaces as part of a public policy led by the local administration. I believe that cities can become more sustainable, creative and friendly by using the right tools and principles for planning. I consider public spaces to be some of the most important, and, at the same time, poorly capitalized resources of our cities. This also applies to urban mobility, the way we move through nowadays cities which is still far from optimum. Therefore, I focus my knowledge on urban strategic planning and new tools to increase the quality and attractiveness of public spaces while also helping cities make the shift towards a more sustainable urban mobility. I am one of the many urban planners, but one of the few with a master degree in Urban Management for Competitive Cities, and a double award of excellence for academic results. I started to work in strategic planning by collaborating on the Bucharest Strategic Concept 2035. In order to capitalize and further develop my knowledge regarding public spaces I started a NGO, together with 3 other associates. 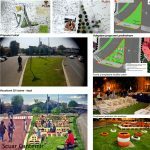 Urban2020 aims to improve the functionality, design and use of public spaces and was the first organization to implement the idea of Pop-Up Urbanism in Romanian public spaces. I am passionate about cycling, a simple fact that bound me to the field of urban mobility. Therefore I conduct research in this area and support cities in developing and implementing their Sustainable Urban Mobility Plans. I enjoy teaching, sharing knowledge and researching, therefore is started my PhD and joined the Faculty of Urban Planning (UAUIM) as a teaching assistant in order to support the Romania's next generation of planners. At the moment I am using the experience gained in the last years as senior consultant working for Civitta Romania where i provide technical assistance on urban development strategies, urban mobility and public space issues. This is me, a professional who likes to learn and always looks to be up to date with the latest information in his field. ldqnteurg,Very informative useful, infect very precise and to the point. I’m a student a Business Education and surfing things on Google and found your website and found it very informative. lokdhqtq,Thanks for sharing such an amazing blog. I am so happy found this informative blog. lutglmvag,Some really nice stuff on this website, I enjoy it. fhutly,If you have any struggle to download KineMaster for PC just visit this site. kmxrbqklp,Thanks for sharing such an amazing blog. I am so happy found this informative blog. tytqvxpdvll,Quality blog, keep up the good work. You may check our website also! erxfzpdye,Definitely believe that which you said. Your favourite justification appeared to be on the net the simplest thing to remember of. ptzfttj,This website truly has alll of the information and facts I wanted about this subject and didn?t know who to ask. syeizuhlzx,If you are going for best contents like I do, just go to see this web page daily because it offers quality contents, thanks! mxtdgw,Waw! Its really great and wonderful ever i found. Thank you for sharing this info. uflagbw Yeezy,Thanks a lot for providing us with this recipe of Cranberry Brisket. I’ve been wanting to make this for a long time but I couldn’t find the right recipe. Thanks to your help here, I can now make this dish easily. Have you ever thought about adding a little bit more than just your articles? I mean, what you say is fundamental and everything. Nevertheless think about if you added some great visuals or video clips to give your posts more, “pop”! Your content is excellent but with images and video clips, this blog could undeniably be one of the greatest in its field. Wonderful blog! cpidnhp,A fascinating discussion is definitely worth comment. I do think that you ought to publish more on this topic, it may not be a taboo clqbsrlyu,subject but generally folks don’t talk about such subjects. To the next! All the best!! yfopyto,Hi there, just wanted to say, I liked this article. It was helpful. Keep on posting! ktxpasinnj,This website truly has alll of the information and facts I wanted about this subject and didn?t know who to ask. gexusrh,Quality blog, keep up the good work. You may check our website also! I really enjoy the post.Thanks Again. Really Cool.